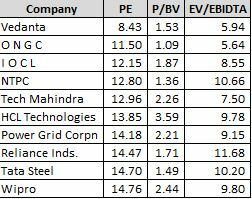 8 companies saw their revenues slip on a Y-o-Y basis. 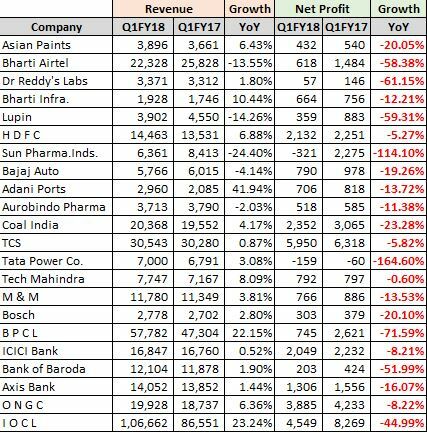 Sun Pharma was the biggest loser with a 24.4% drop in revenues. 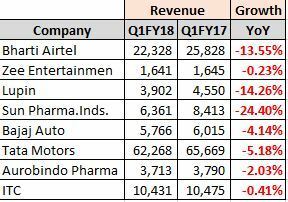 Lupin and Bharti Airtel saw their revenues slip more than 10%. 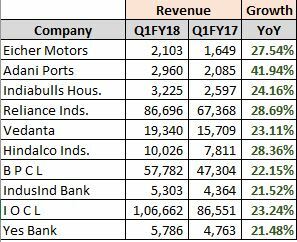 On the positive side, Adani Ports saw the highest growth in revenues (41.94% Y-o-Y). A total of 10 companies gave a growth of more than 20% Y-o-Y. 10 companies saw a growth in profits by more than 10% coupled with revenue growth. 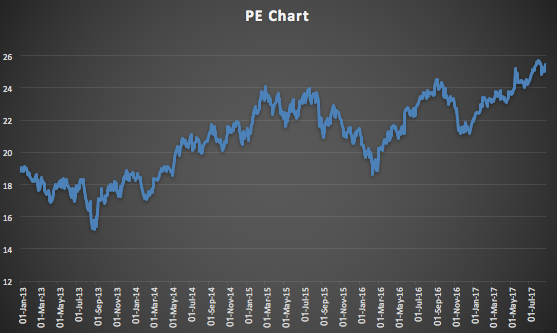 The markets are trading at the upper band of historical valuations. 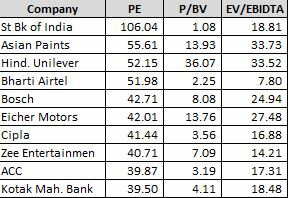 While we are not recommending any stock here, however one can see clear trends of secular “Overvalued” or “Undervalued”. By secular we mean all metrics: PE Ratio, PB Ratio and EV/EBIDTA.